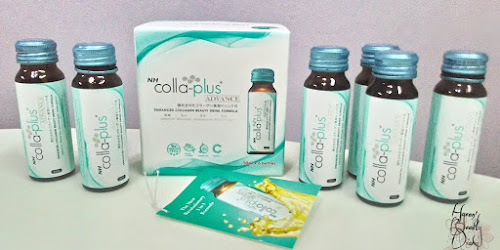 Ever since I posted my trial + first impression on NH Detoxlim's Colla Plus Advance Collagen Drink, it has gained 5,000+ views as of to-date (one of the most viewed post on my blog!!). Click here to read the blog post. My friend and now colleague, Marcilla, has bought us a pack of Meiji's Amino Collagen from her recent trip to Japan (arigato!!!). Thanks to here, so here we are today to give an impression on this highly rated collagen powder drink! 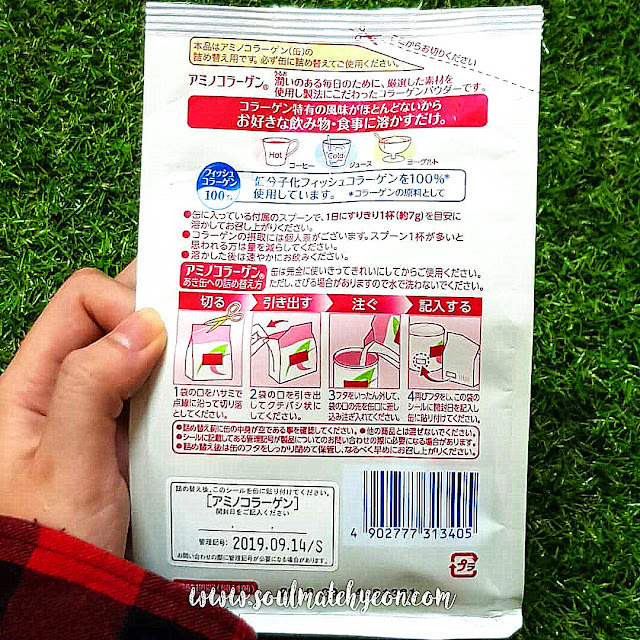 In order to understand the product, I checked on Meiji's official website. Here's a snippet on the product description which I summarized after reading their website. 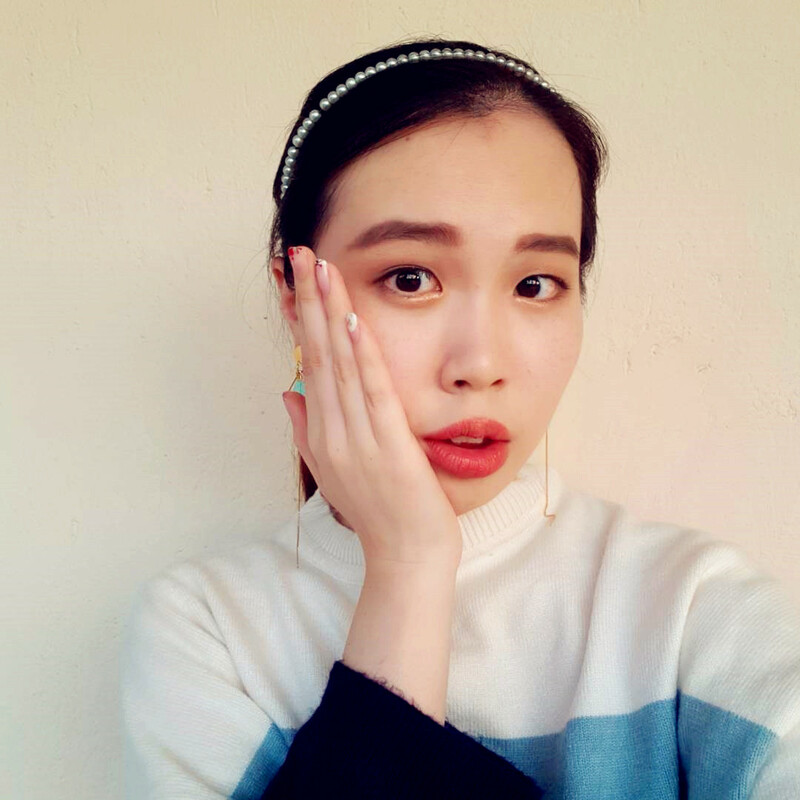 Amino Collagen is made of fish scales and skin from which the calcium is carefully removed and pure collagen is extracted under patented production method. Pure collagen is extracted and converted to white collagen peptide powder (low molecular weight fish collagen) that is proven 50% more efficiently absorbed by human body. 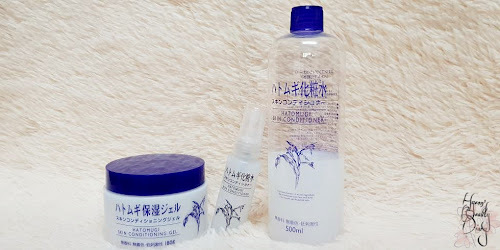 Besides low molecular weight fish collagen (5,000mg), it also contains Amino Acid (Arginine) (450mg), Glucosamine (60mg) and Vitamin C (50mg) - rich in basic cosmetic ingredients for beauty. 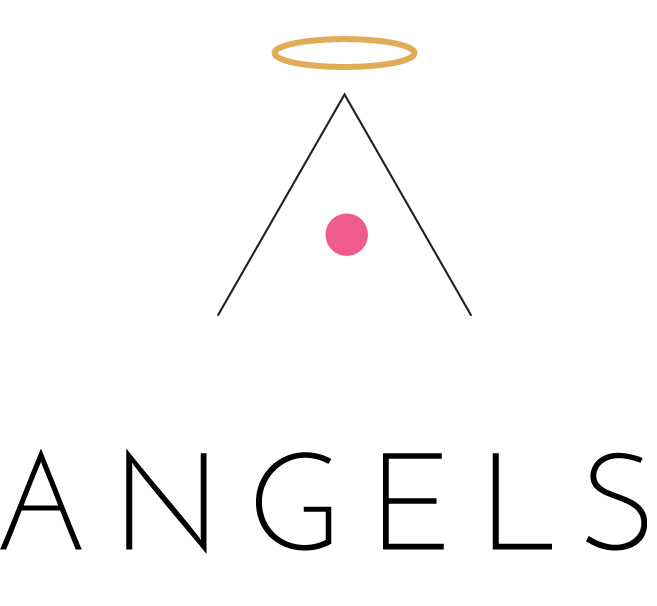 Patented unique masking technology to cover the smell of collagen peptides in order to product low-odor collagen powder that can be added into all kinds of food and drink with ease. 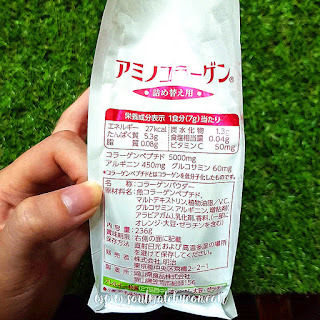 Particularly, I am amazed to find out this collagen powder can be added into literally every food and drink, be it hot or cold, without damaging the collagen potent. What a technology! To consume, take a table spoon (approx. 7g) daily. Feel free to mix it into any drink, or even desserts. Well, this is a refill pack and this is my first try, I don't have a proper tin to keep it. Instead, I'm using a random glass container. Do make sure it is clean and dry before pouring the powder into it. 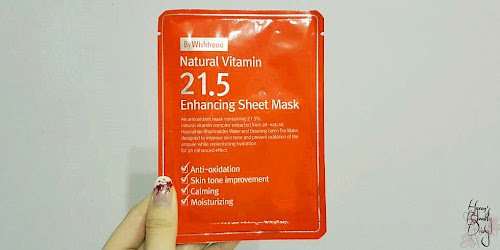 p/s: after applying night skincare, so it looks glowy here.. just to clarify..
Obviously, I missed one or two days in between the whole course zzz So it dragged for more than 1 month to finished the whole packet. For the first week of consumption, to be honest, I had to force myself to finish the drink (which I added collagen powder in it). It definitely changed the taste of my morning coffee and it doesn't taste pleasant.. 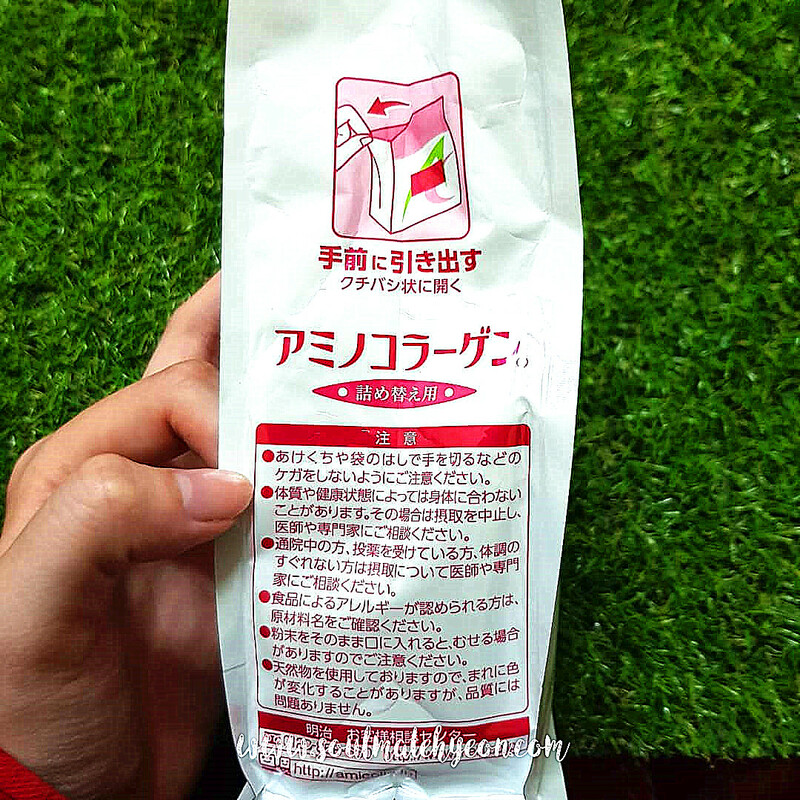 But I have to clarify, it wasn't too bad as compared to those readily made collagen drinks in bottle. Sooner or later, I have adapted to the taste and started to enjoy my morning coffee. 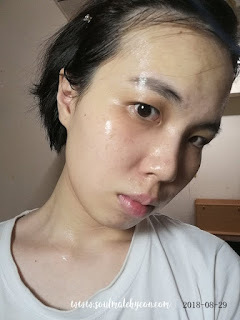 So from what you see, my before and after, it wasn't like a transformation which you can identify immediately, nor I felt significant improvement on my skin texture or within my body. 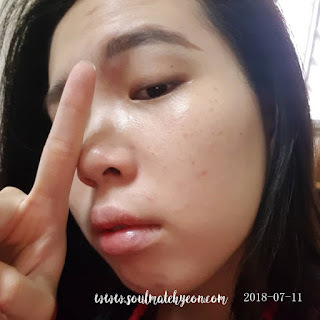 In between the course, I had experience crazy skin breakouts as I changed my skincare routine, and it somehow triggers unless breakouts and whiteheads on my face. Of course, that has nothing to do with the collagen drink. Did the collagen drink helps with faster skin recovery? I couldn't tell as I don't have a proper set of procedure to monitor the recovery process when I'm on or without the collagen drink. 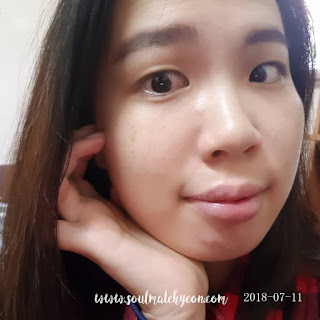 Did the collagen drink improve skin tone? I would say no. I had a serious sunburn after my trip to Pulau Perhentian earlier this May. My sunburn skin areas are still visible even though I finished the whole 30-day course. Collagen drink is very popular nowadays, and most of us (including myself) do wonder if it works. Well, we all hope that it works wondrous on our body and skin, but the truth is, it is not a magical spell or pill that could overturn our aging signs within a week, or a month. Yes, I do believe it takes time to see the effect. With that, I'm saying like 10 years span, or even longer. When we wonder, "why she looks like 30s when in fact she is 50s in age?" The truth is, she had put efforts on keeping her body and skin looking young since 30s. You know what I'm trying to say, right? One thing for sure, collagen intake will become crucial as our body produces lesser when we are aging. It helps the joints and skin elasticity (to look youthful). 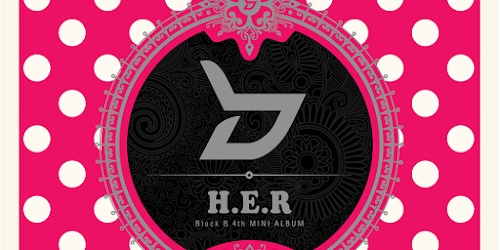 This product is available on DOKODEMO for ¥2,285 (approx. RM85+).